Attract customers with your own branded rewards website and smartphone apps. Features include Menu listings, Cuisine filters, Ratings and reviews from users, Youtube videos, Promote with Facebook and Twitter buttons and Reward Coupons to your visitors on both website and your smartphone apps. You can also organize online competition on your loyalty website and reward them for best recipes submitted by your customers. Increase participation among your targeted customers by letting them add their own recipes and cuisines and showcasing their best recipes. 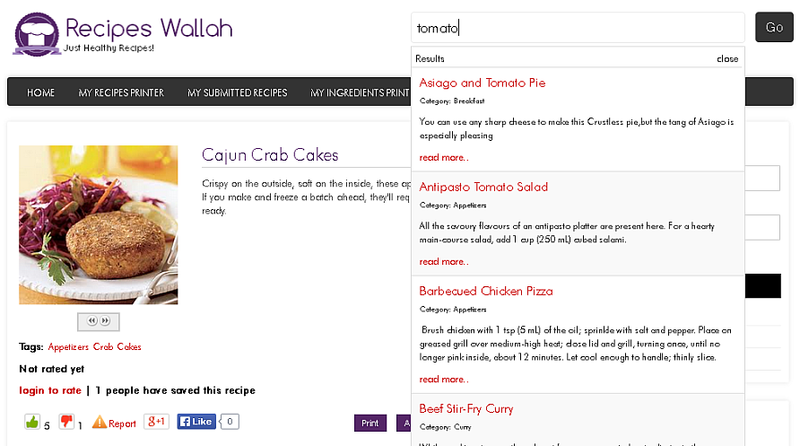 You can add your own recipes as well for user viewing. Users can rate menu items and leave their feedback. This is a great tool for Restaurants owners to assess their customers' likes and dislikes and adjust Restaurant's offerings accordingly. Add Youtube videos of your Recipes' Cooking process and attract more views. Some users prefer to watch videos over reading through texts. Spoil them with choices! Convert your users' visits into Dollars. Implement Google Adsense, and Get paid for each user visit and clicks on Google ads. 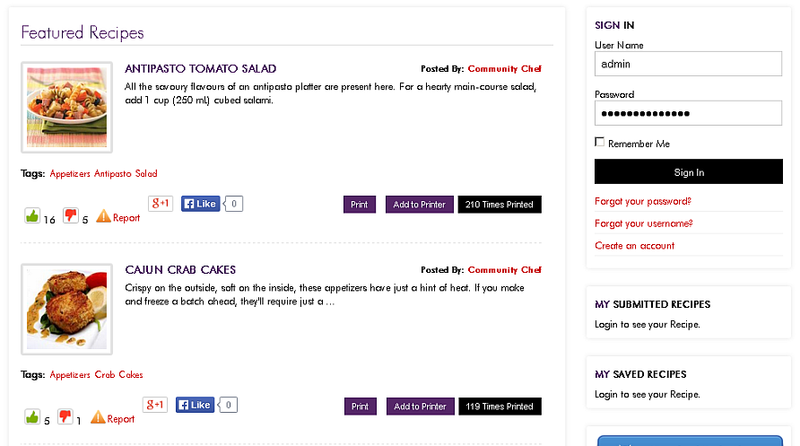 Let your users sign up on your Recipes website and opt for newsletters. Send weekly/daily newsletters to users with newest recipes and cuisines. Create categories for recipes using Category Manager. 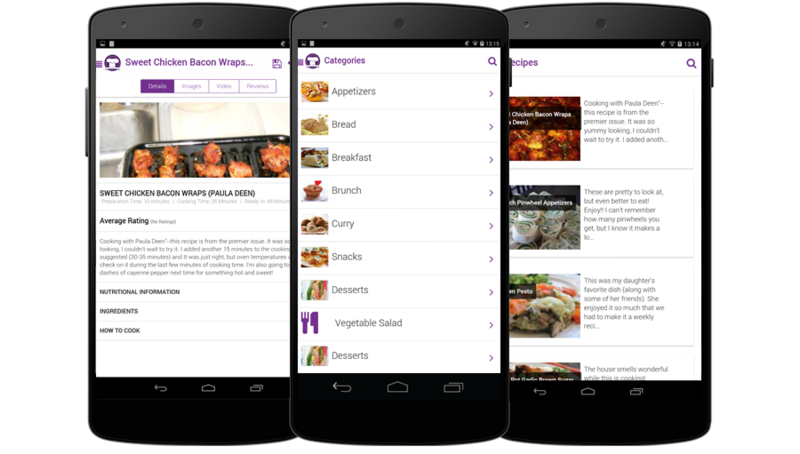 User can easily search for their recipes through Category filters. 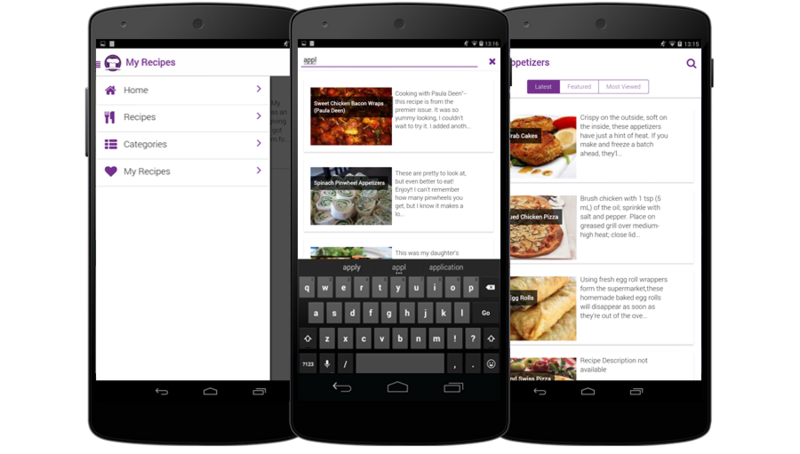 Users can print Menus with a choice between single Recipes and various Recipes at once. If they like more than a single recipe, they can add all Recipes to the Cart and Print them all at once. Customers can register on the website to participate in online Contests, submit their Recipes, purchase Deals, download free Coupons & check their Rewards. Create deals and generate revenue by selling them online. Customers can purchase deals, make payments using credit card and bring a print-out of the unique deal code or just use the smartphone app to show the code, in-store to redeem. Main interface to manage all your Recipes. This lists Recipes with ability to Add/Edit/Delete them. Manage Recipes' categories and Sub-categories. 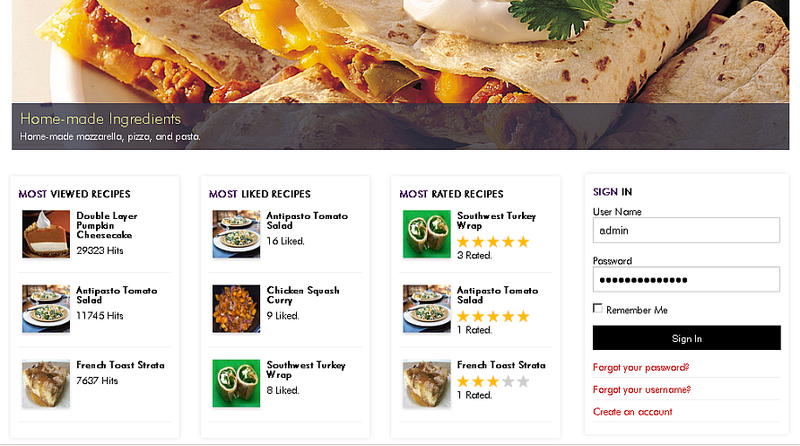 Manage user ratings for individual recipes. Here you can configure various aspects of your Recipes Website. A printing cart where user saves his Recipes and prints all of them later, in one Go . Promote your Recipes through Facebook and Twitter. Thumbs Up / Thumbs Down button for Recipe. This button lets user share the recipe with his friends through email. Report Recipe form to report/flag an recipe. You can manage your recipes from front-end. User can rate and review the recipes. Shows how many times this recipe is printed. The recipe or list of recipe can be shared on Facebook page. Shows recipe of a particular category. Shows recipes of particular tag. Shows list of featured recipes. Shows lists of all recipes which is to be printed. Shows list of comments from Facebook. Shows list of default comments. Here we can filter recipe list Alphabetically. Indicates this Recipe is Featured. The pricing for proprietary licenses range from $500 to $1,500 per annum, depending on your specific requirements.